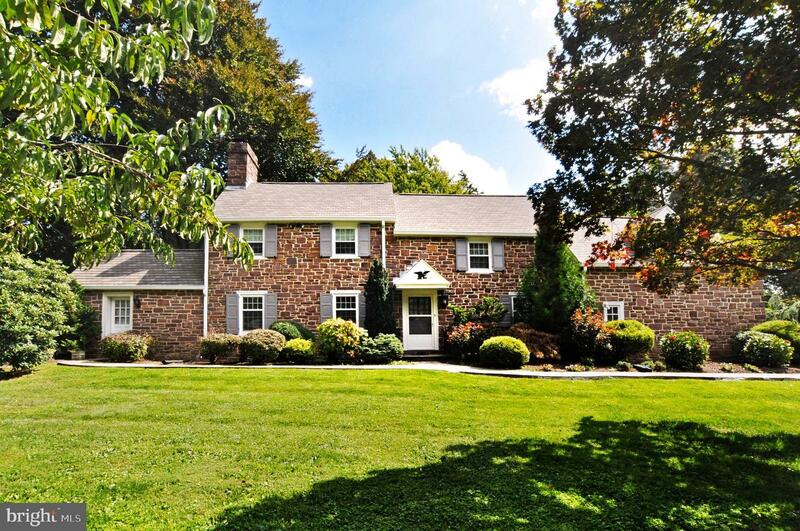 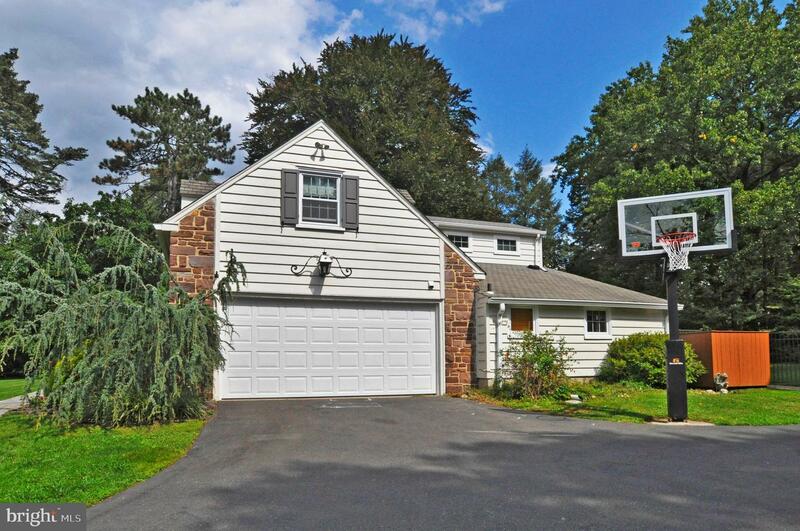 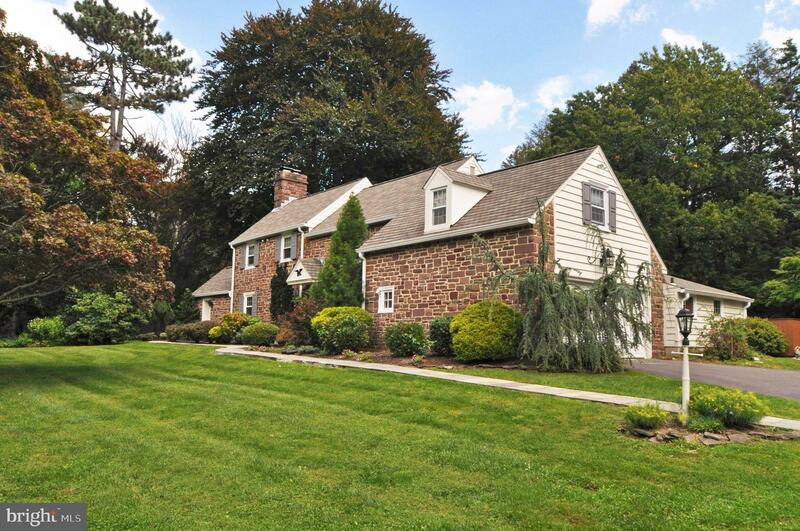 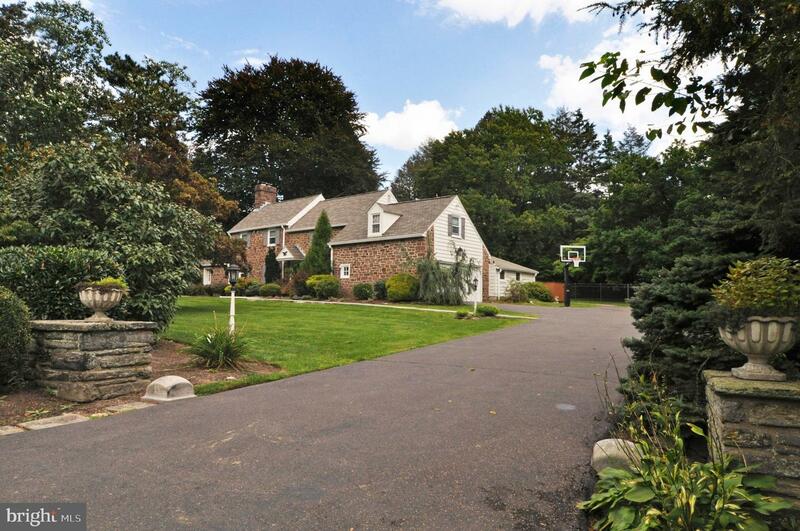 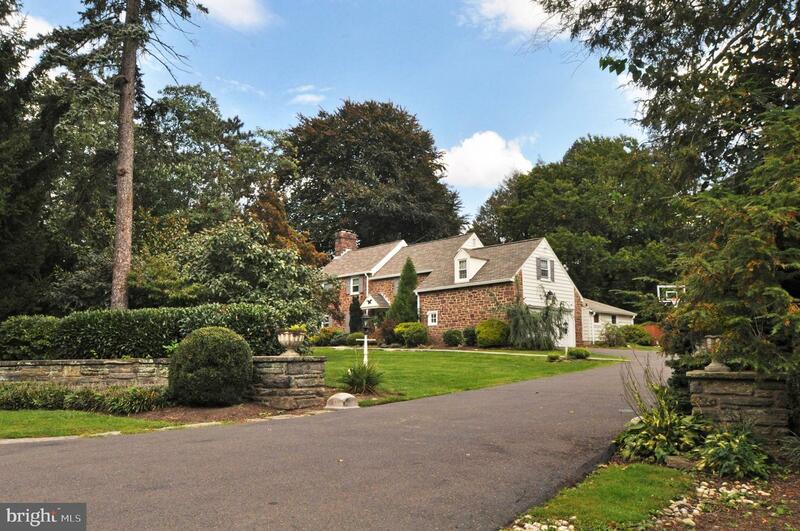 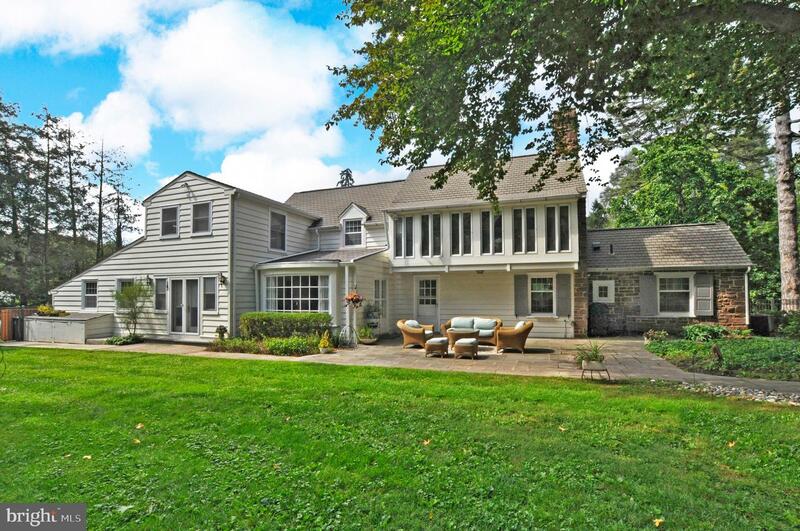 Rydal - Stunning 4 bedroom, 3 full bath and 2 half bath classic stone colonial located on one of the most beautiful streets in Abington Township on .8 acre of manicured grounds. 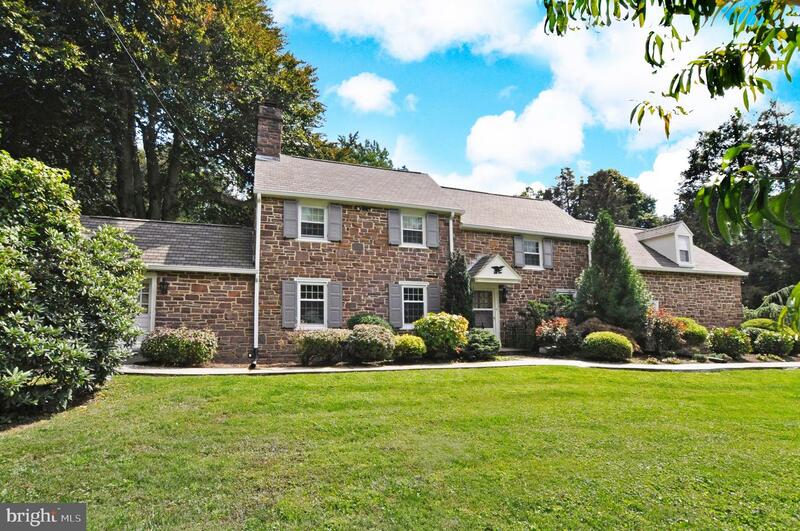 Enter through half stone walls at the end of the driveway and proceed up the flagstone walk into the charming foyer with coat closet. 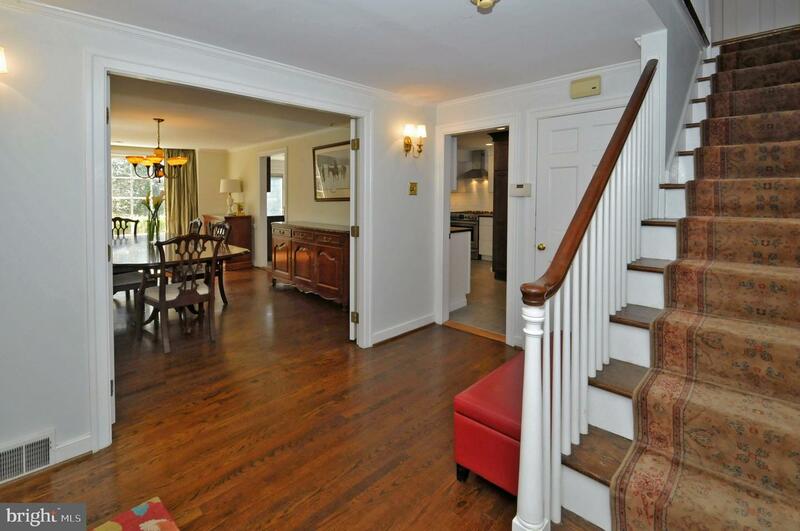 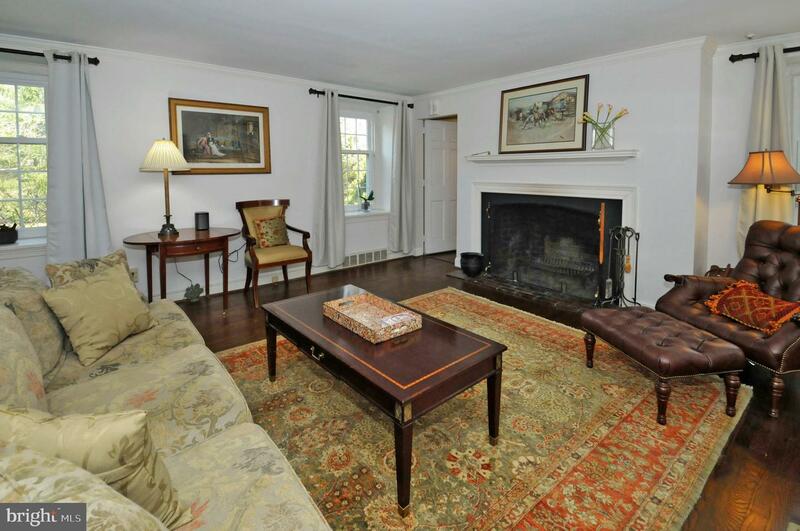 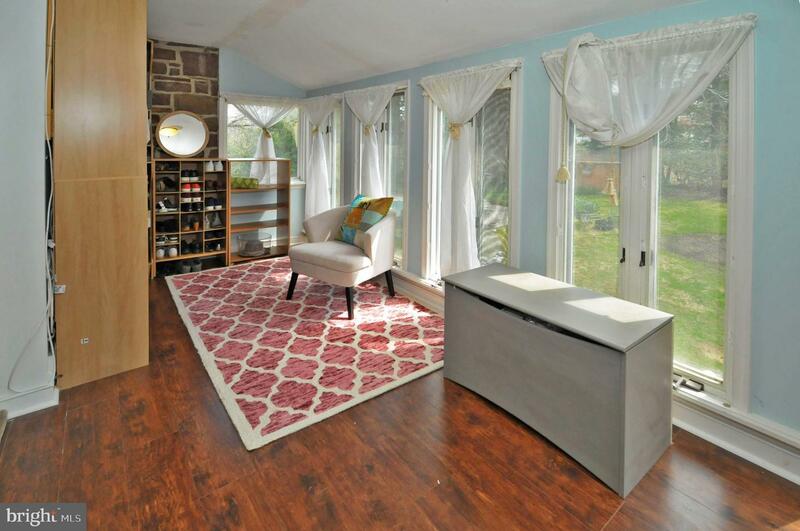 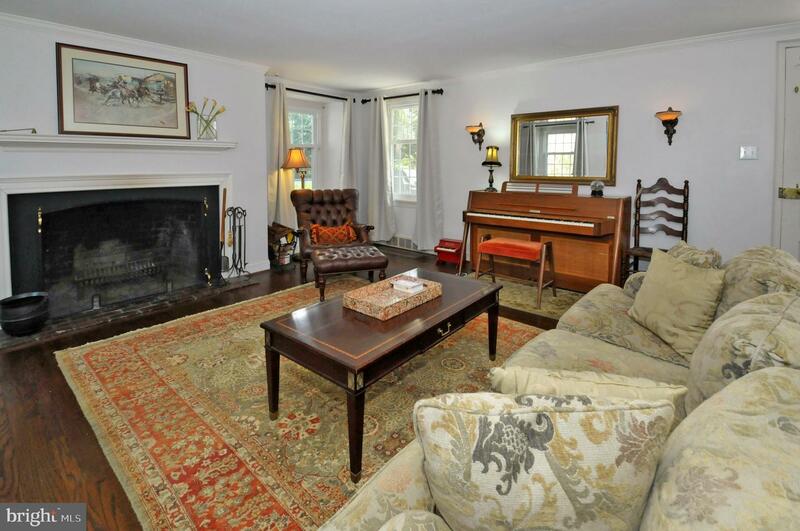 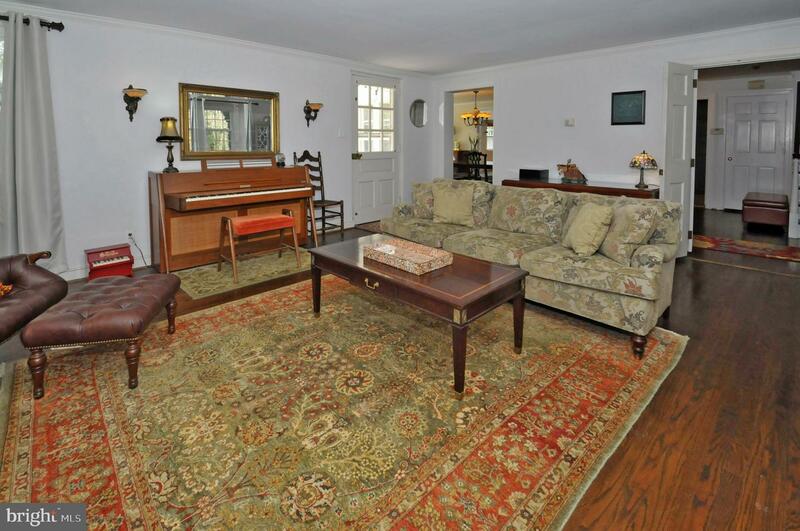 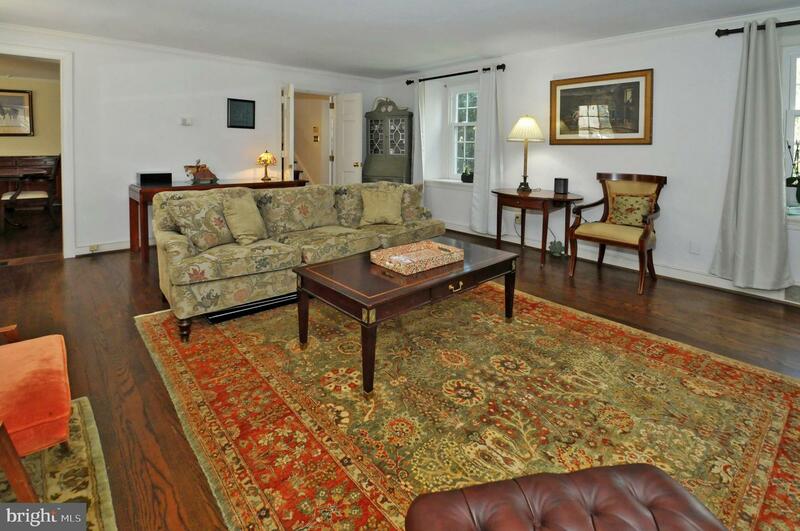 The living room features a fireplace (wood burning) and door leading to the rear patio. 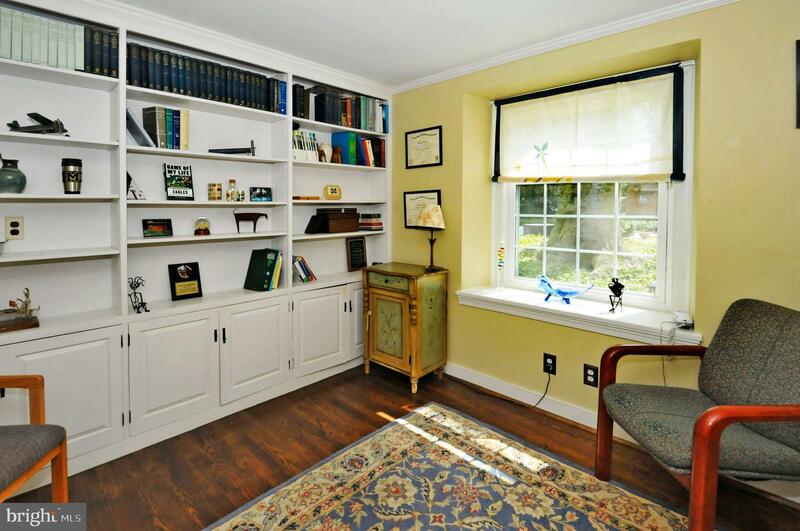 Connecting to the living room is a private first floor office/library with a wall of built-in bookshelves and a door to the exterior - perfect for a home office. 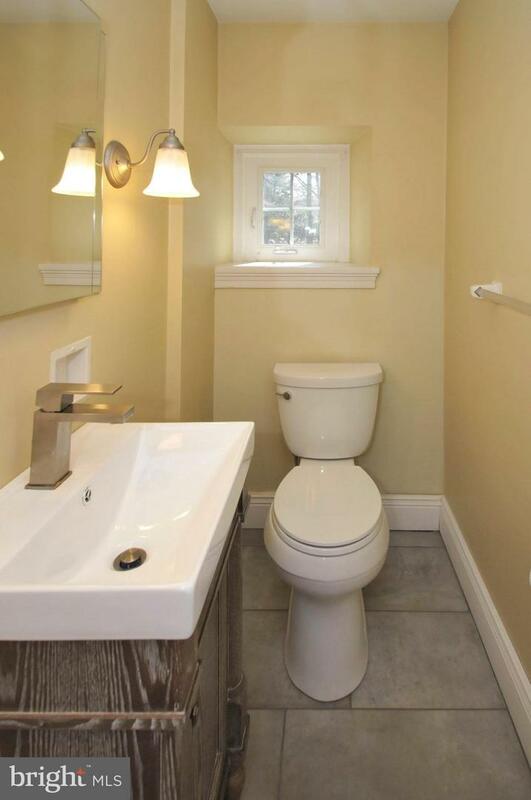 There is an updated powder room in the office area. 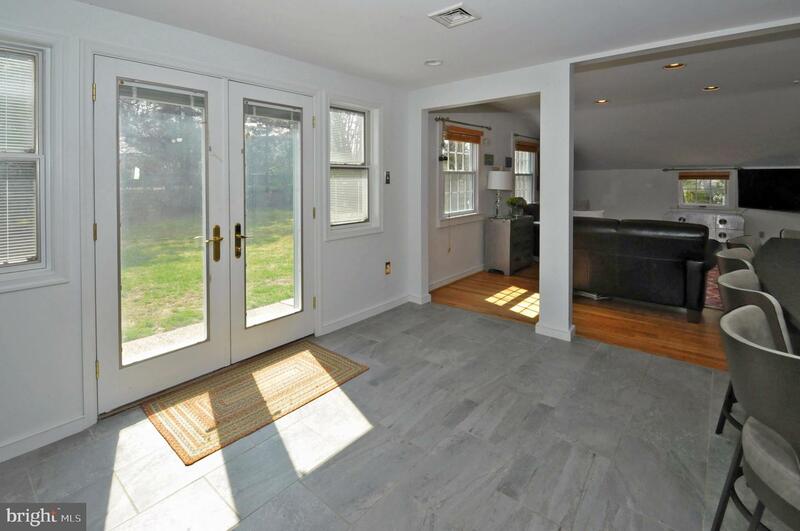 The dining room has French doors from the foyer and connects to the living room, with another set of French doors leading to the rear large flagstone patio. 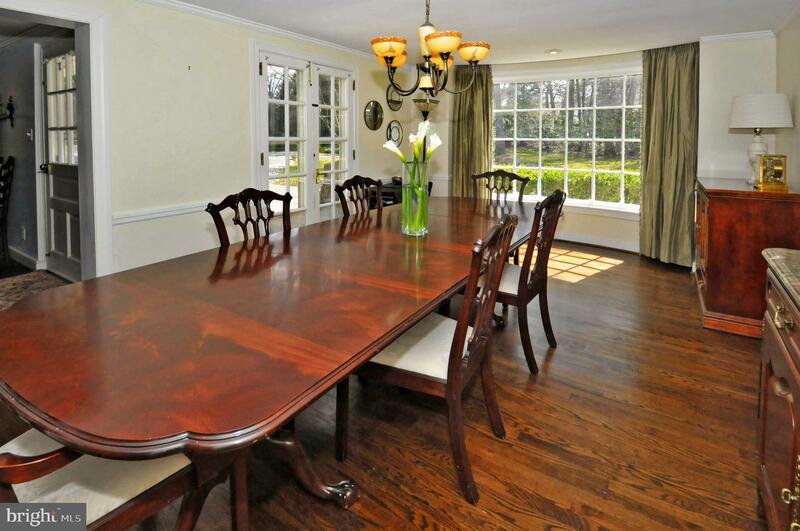 A lovely rear floor-to-ceiling window completes the dining room. 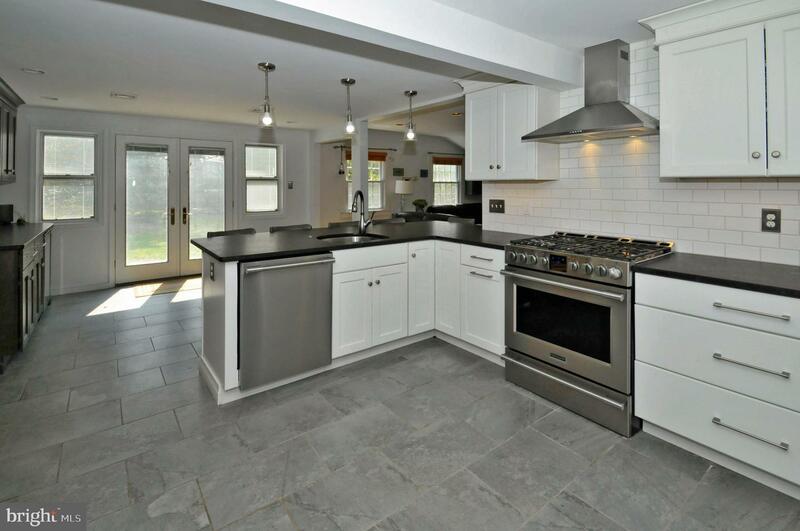 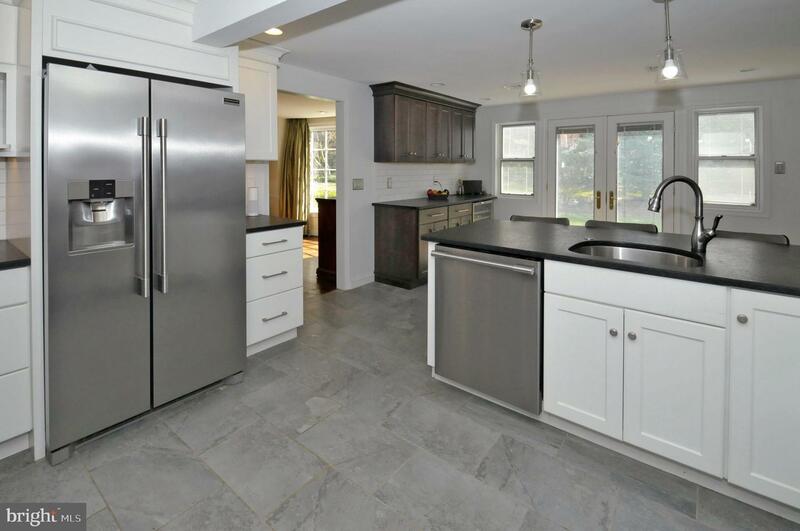 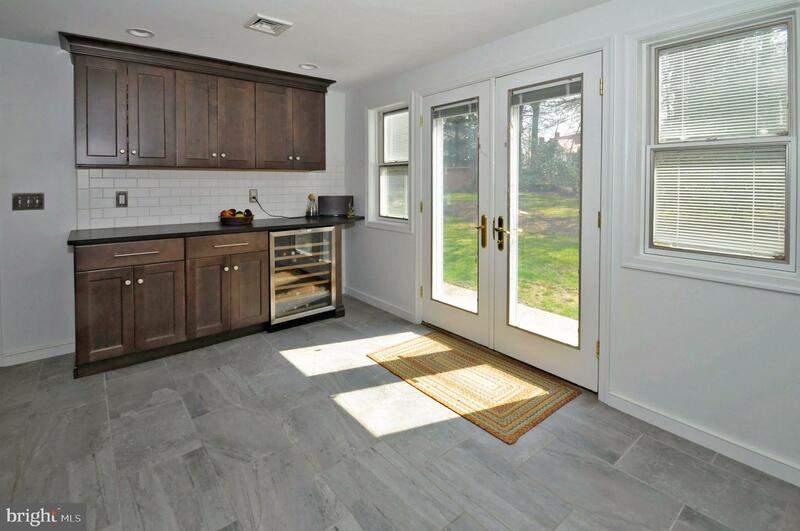 The 2017 remodeled expanded kitchen offers an open floor plan into the family room and features a ceramic tile floor, soapstone countertops, stainless appliances (gas range, refrigerator, microwave, dishwasher), Subway tile backsplash, breakfast bar area, plenty of cabinetry and sliding doors to beautiful rear flagstone patio that leads in a serpentine fashion out to a beautiful in-ground heated pool. 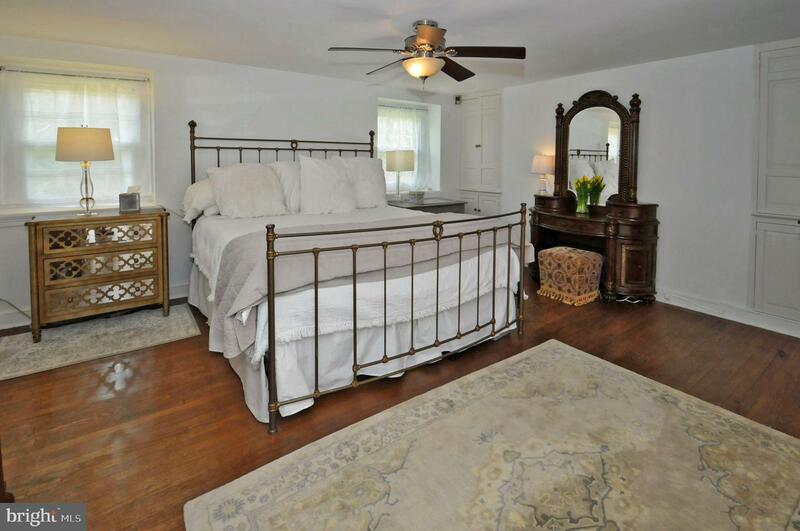 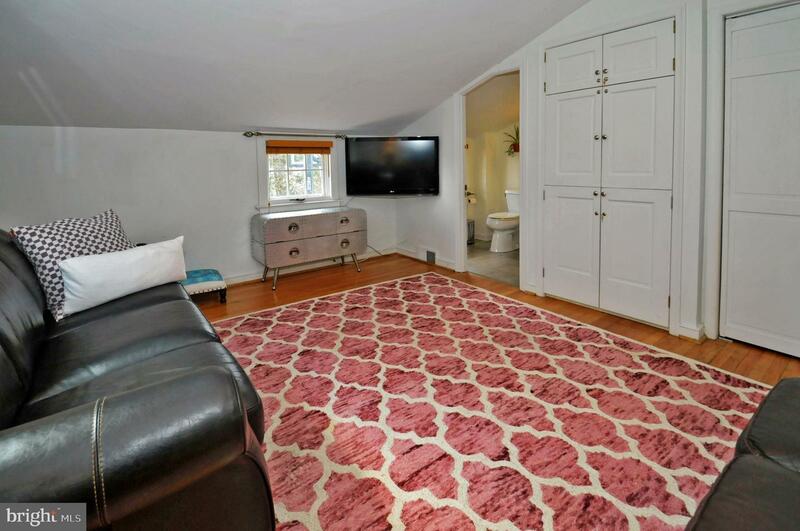 The family room, laundry area and full remodeled bath with stall shower are adjacent to the kitchen. 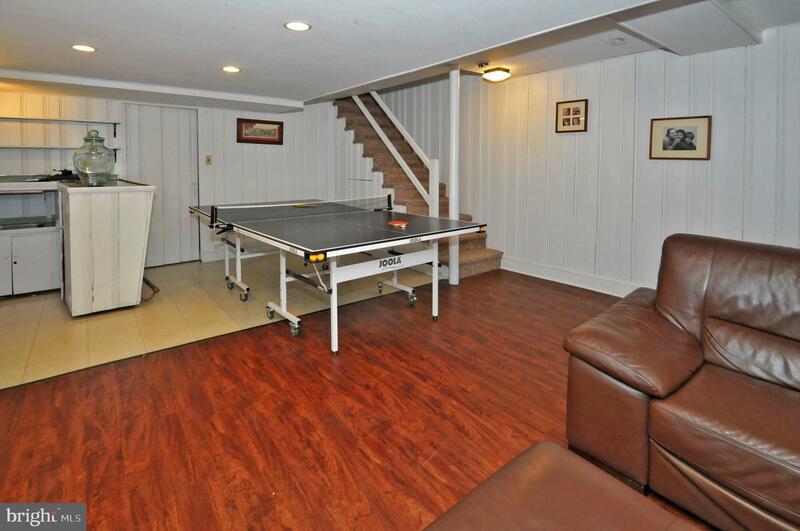 There is inside access to the 2-car attached garage. 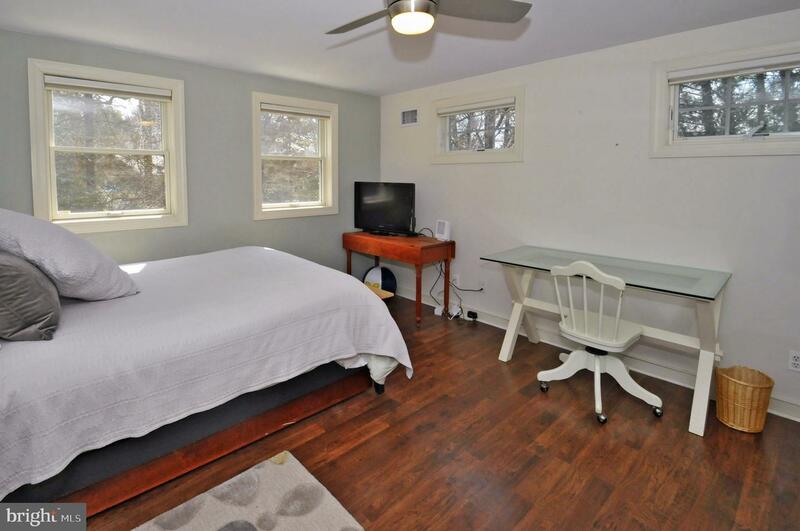 The second floor consists of a master bedroom with large sitting area with a ceiling fan and a wall of windows in addition to a master bath with stall shower. 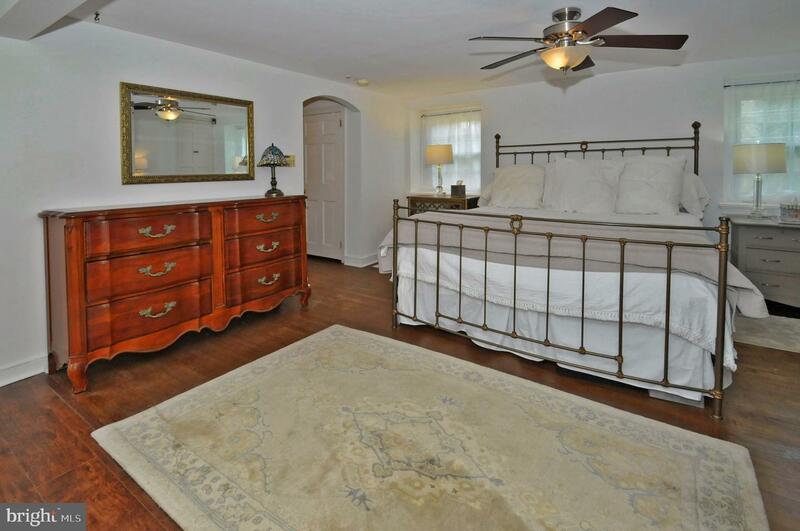 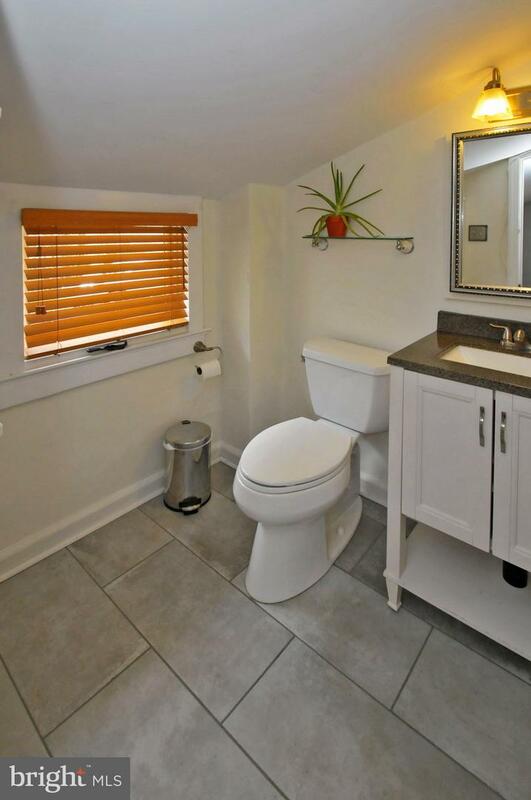 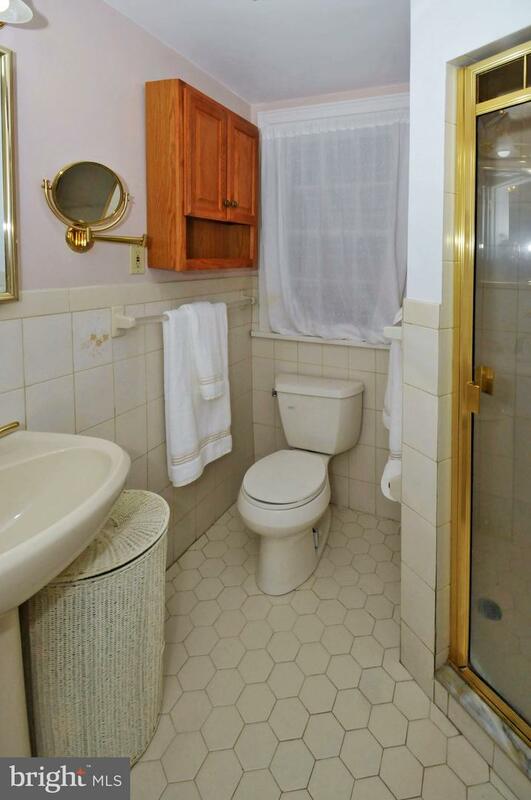 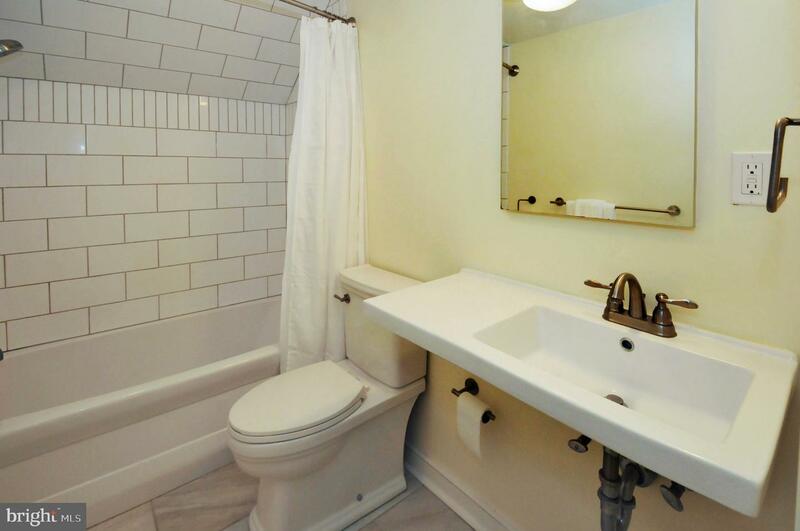 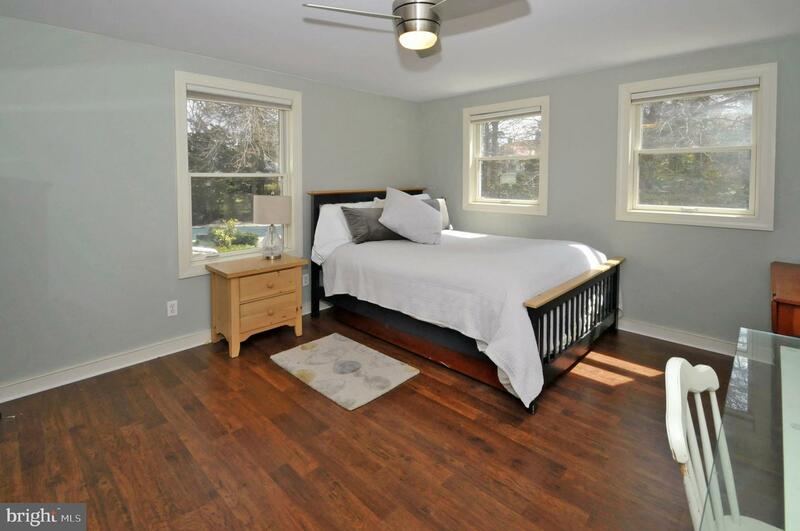 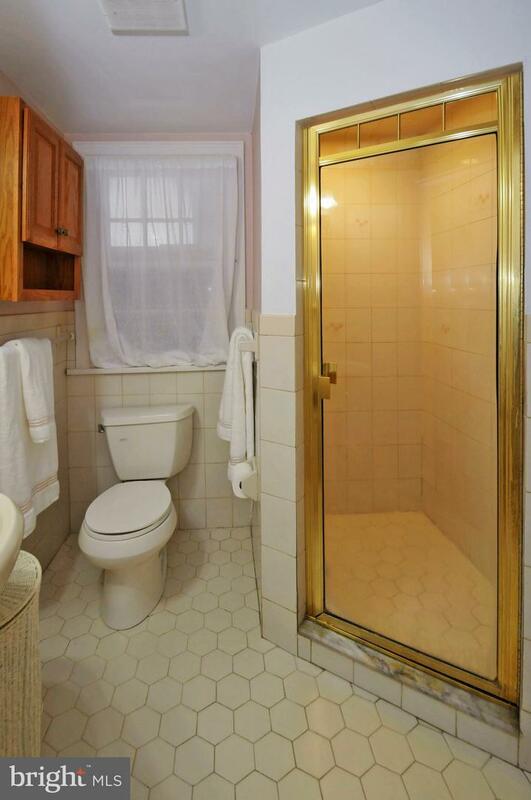 There are 3 additional bedrooms and a newer ceramic tile hall bath with tub and shower unit. 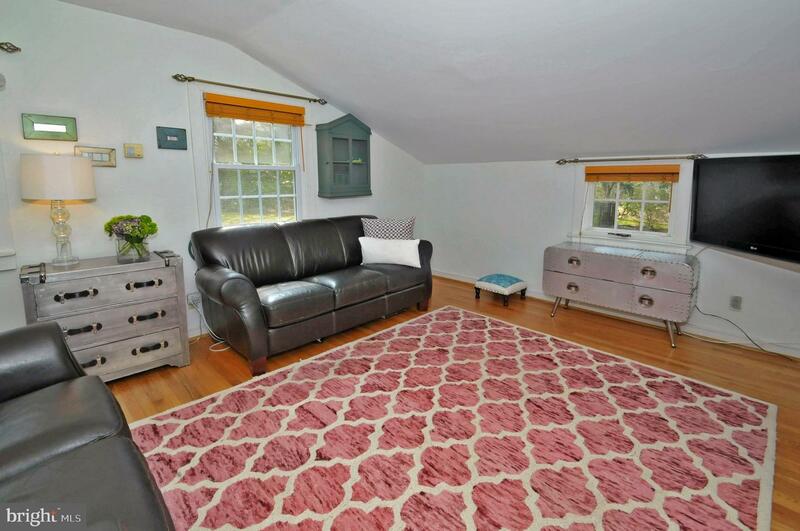 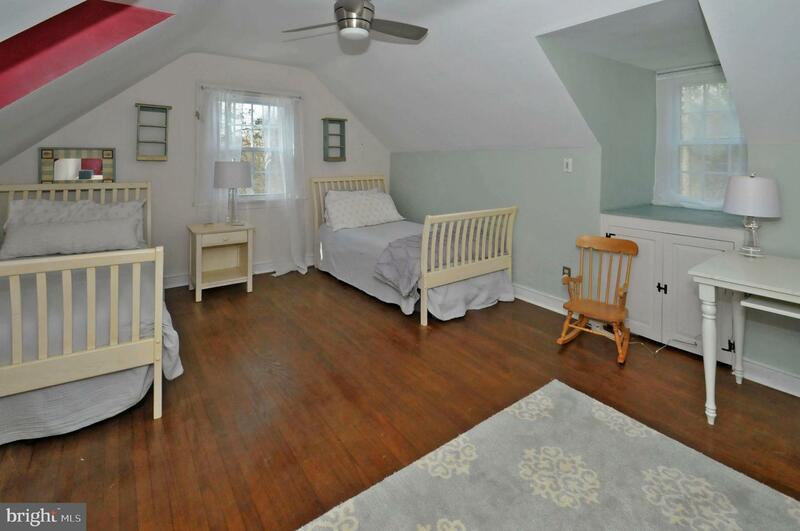 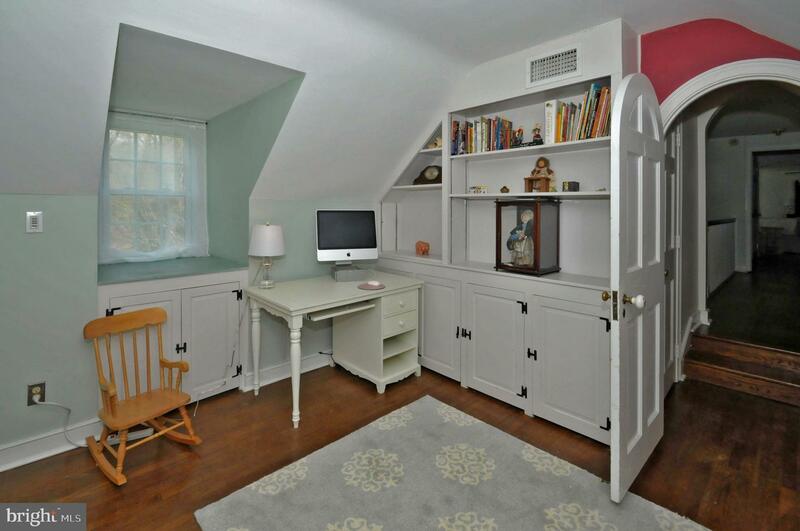 The attic features a pull-down stair unit and cedar closet. 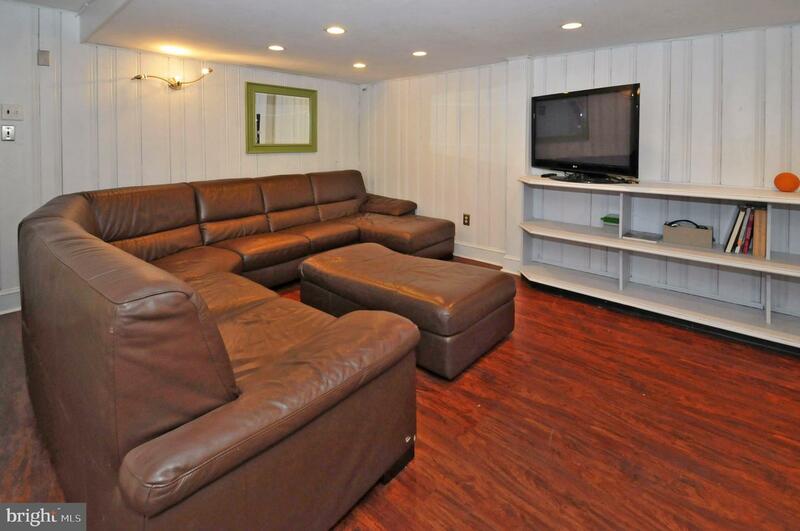 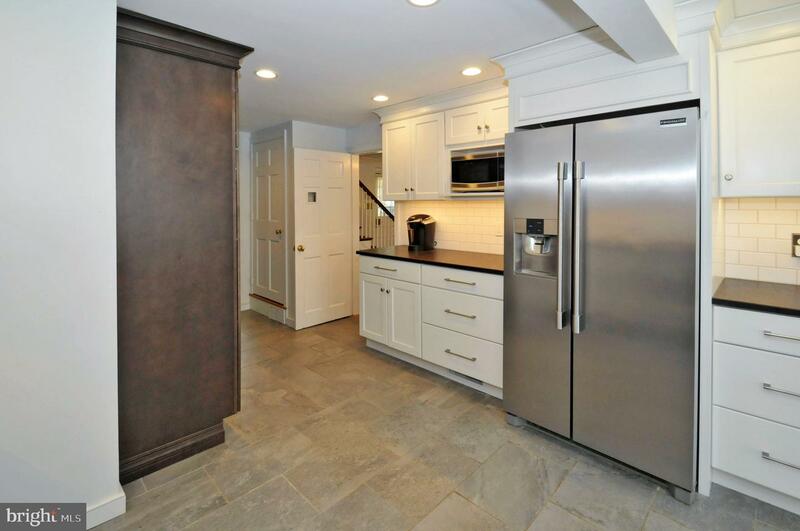 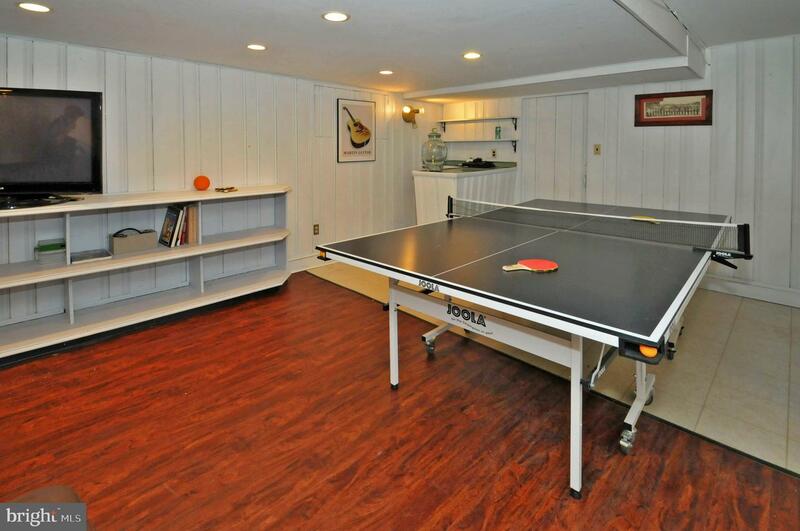 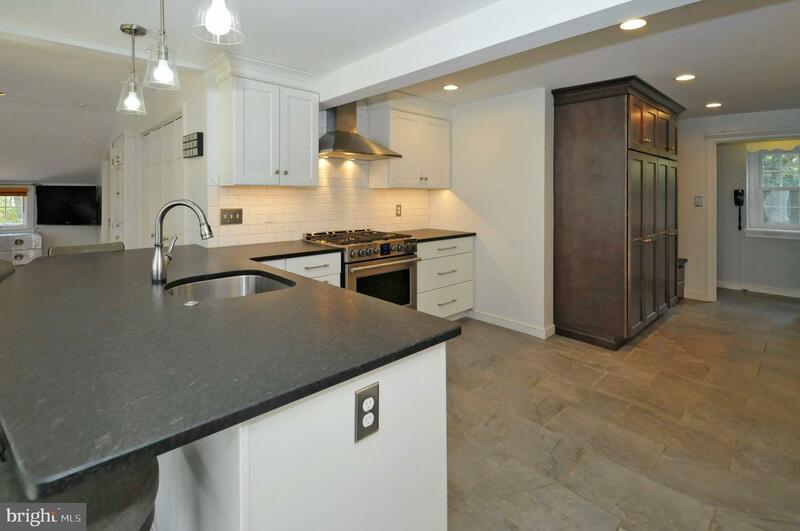 The basement is partially finished with a wet bar, a powder room, storage room and large utility room. 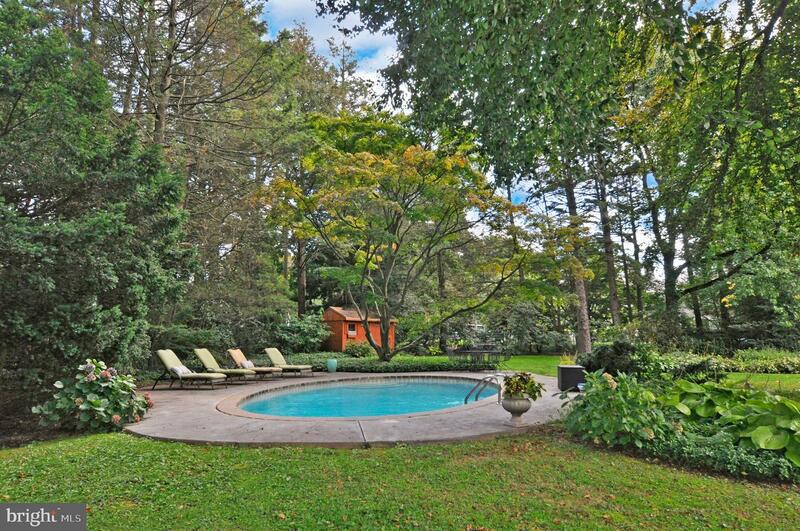 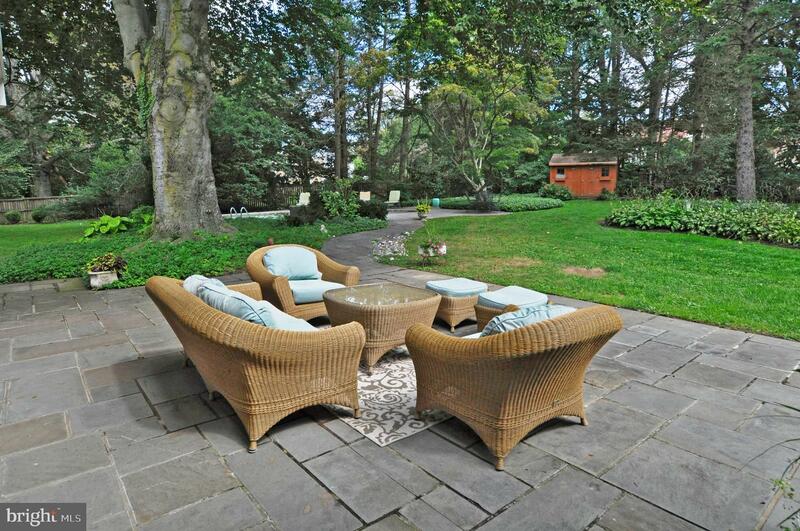 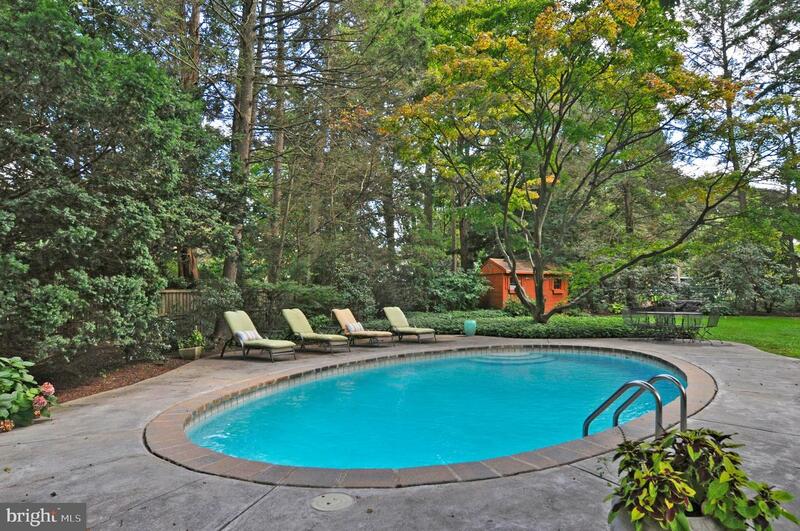 Between the house and the pool is a magnificent copper beech tree that offers plenty of shade to the patio. 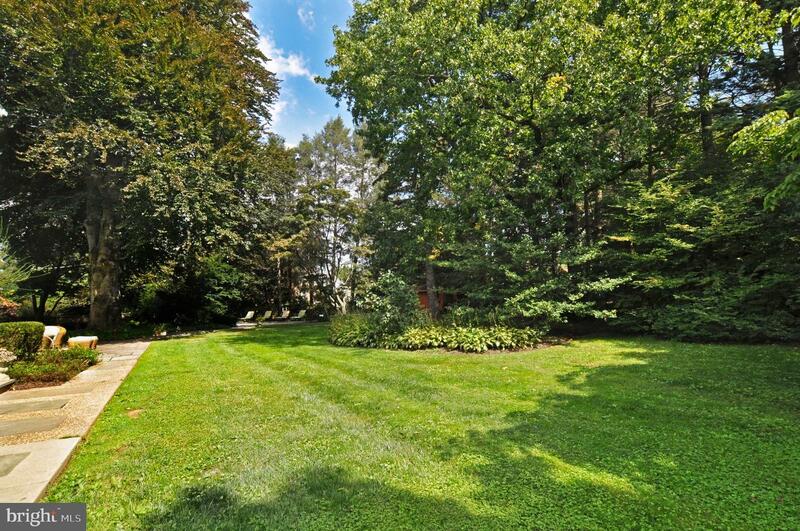 There are magnolias, pines and a large perennial garden that comes up every year with peonies, hostas and a row of hydrangeas in the side yard. 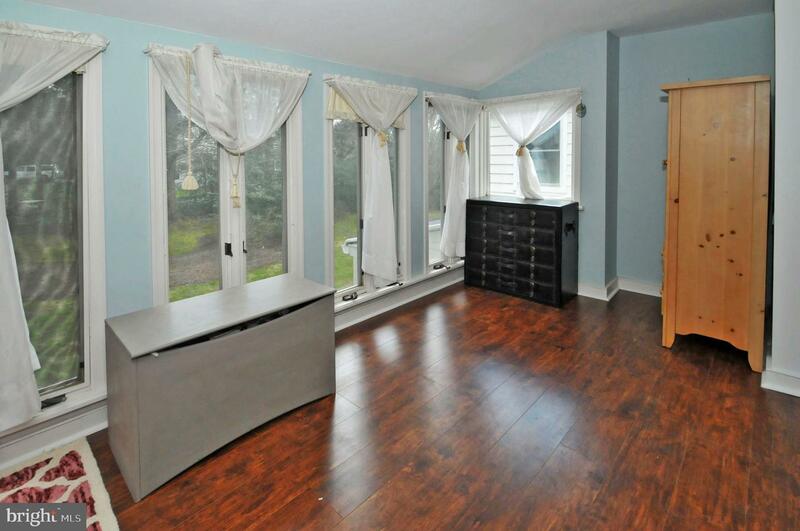 Beautiful hardwood floors, replacement windows, 2 new HVAC units (2018), and blown-in insulation are only a few of the upgrades. 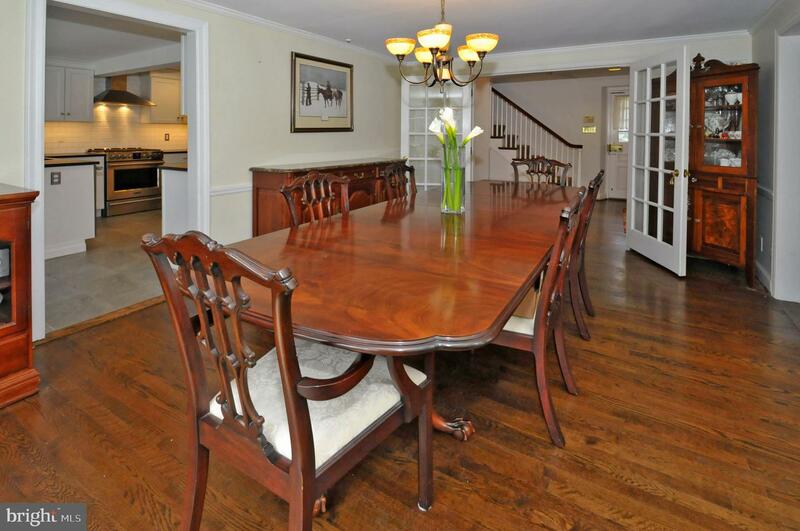 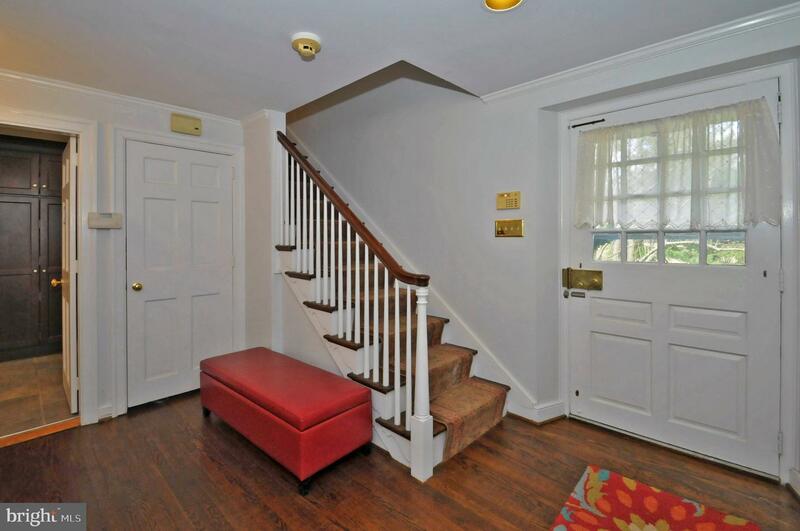 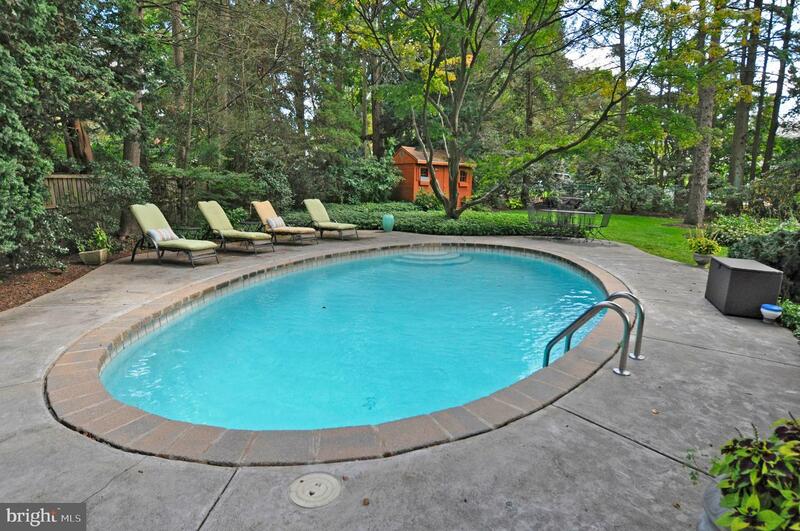 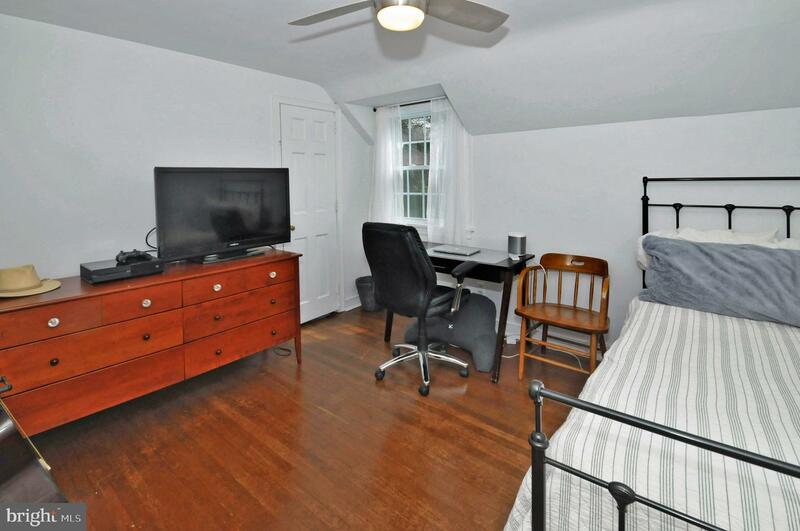 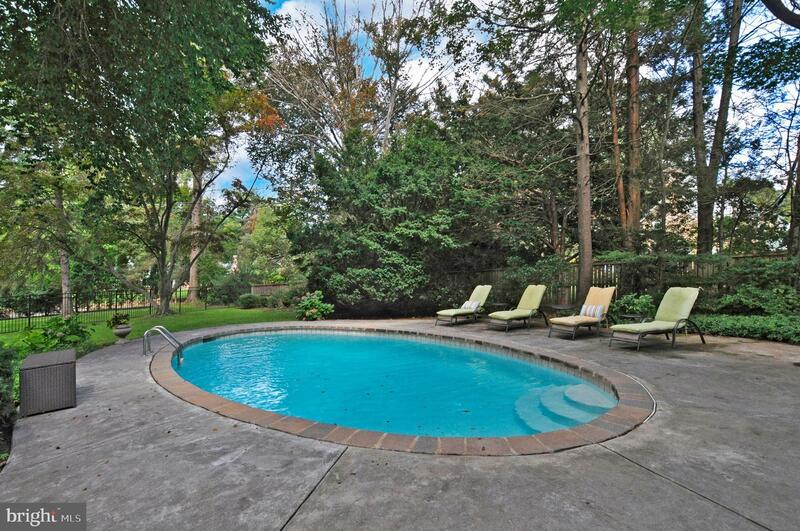 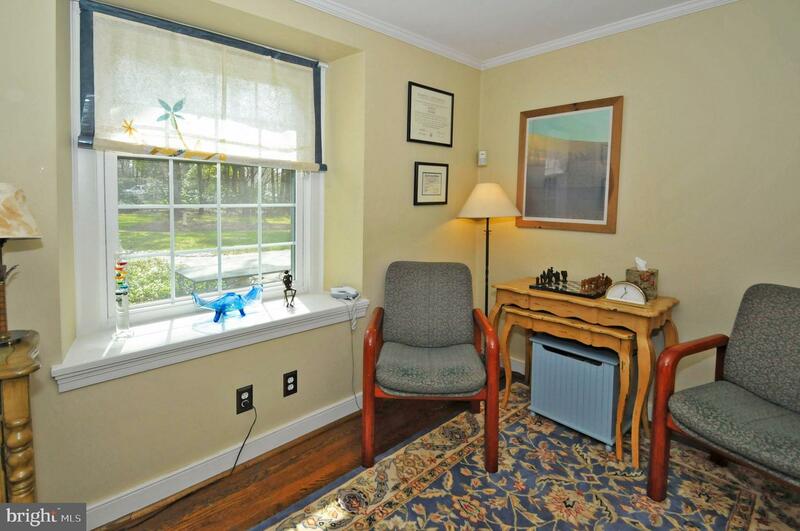 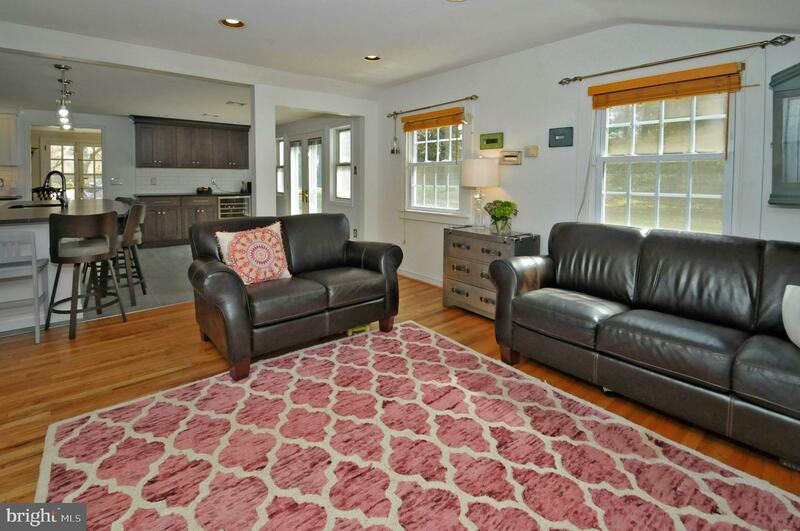 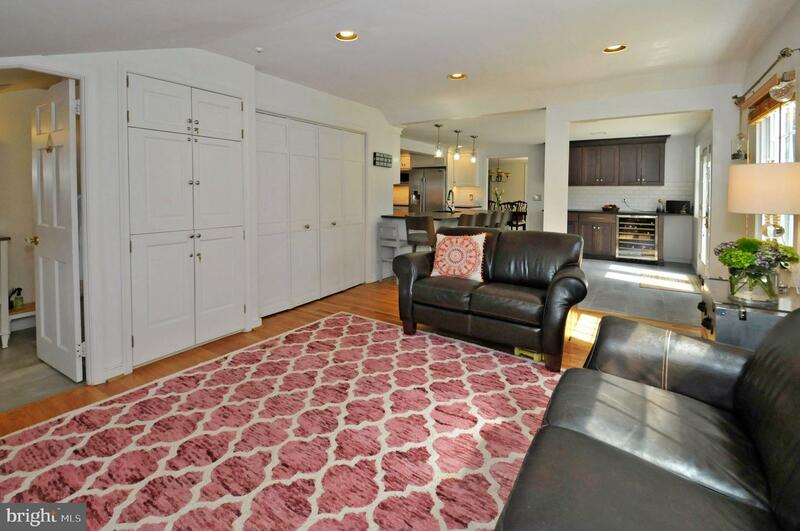 Located in the Award Winning Abington School District (Rydal Elementary) and close to Abington-Jefferson Hospital, Abington Library, Whole Foods and Trader Joe's, this pristine home is within minutes of several train stations with service to Center City Philadelphia. 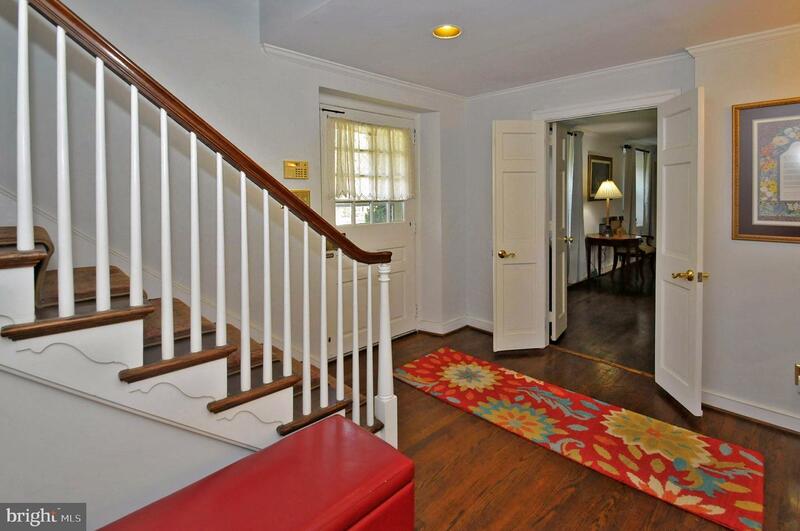 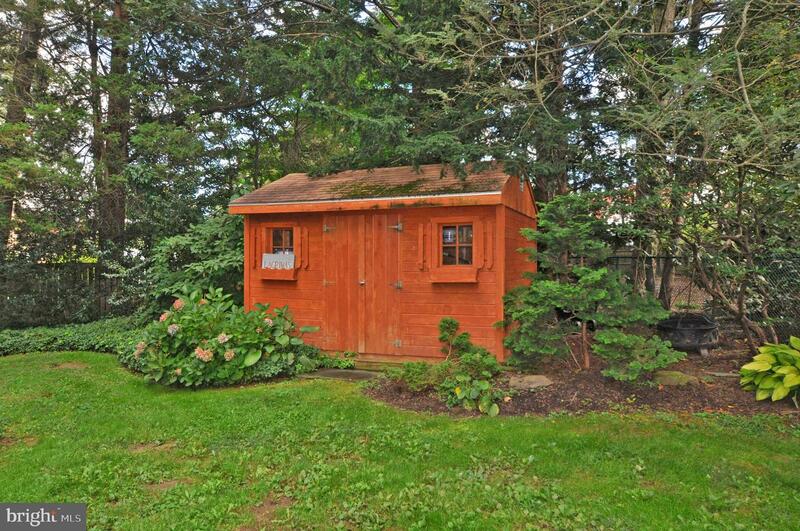 If you are looking for a quiet neighborhood and a charming home, this is the home for you!